I’m re-posting items originally written for peterme.com. This post is from January 26, 2016. Realizing the benefit of diverse perspectives requires a supportive environment where people are encouraged and comfortable sharing their work, spurring collaboration that makes the final output better than what anyone would deliver on their own. Every member of the team must demonstrate respect to every other member, or the openness required for successful collaboration will not emerge. Dismissiveness, insults, cattiness, and behind-the-back gossip lead to people feeling shamed and shutting down, and cannot be tolerated. Earning one another’s respect is necessary in order for the team to “get real”, because frank and candid critique and feedback are essential for upholding the high quality standards. Greatness comes from the tension and collision of different perspectives, addressed openly and honestly. Design teams that favor politeness over respectful candor will rarely produce great work. 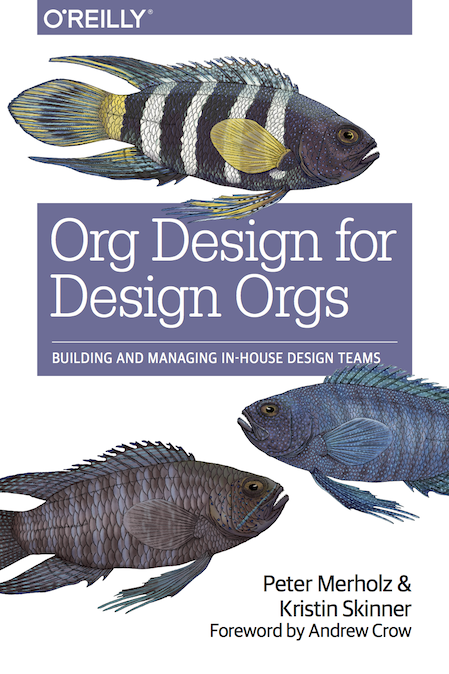 Organizational hierarchy can stifle the free flow of ideas within a design organization – when senior people speak, it often stops the conversation. It’s now become cliche, but it’s worth repeating – great ideas can come from anywhere. Great design leaders encourage everyone to speak up, and, for themselves, wait to speak last. These leaders must also place their work alongside others, and accept others’ critique with grace and humility. The collaborative environment referred to so far has been figurative, but it also should be made literal. Great design work takes space – places to collaborate, whiteboards for sketching and ideation, walls to show work. And those spaces should be permanent, places where the team works and sees their work all around them. Not only does this encourage continual engagement from the team itself, such spaces enable people outside the team to quickly connect with the work. It literally demonstrates openness and transparency. And instead of having occasional big share-outs (that require preparation that takes time away from productivity), these spaces support frequent lightweight check-ins that ensure the work is on track, because if it’s beginning to veer off-course, it is quickly corrected.